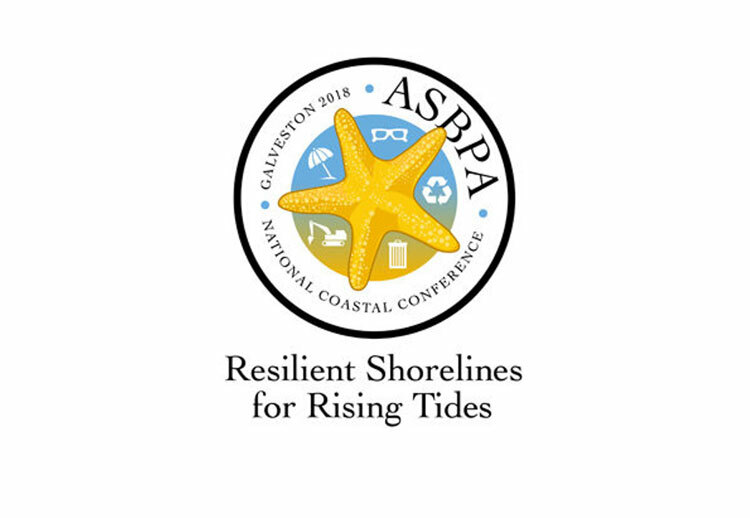 The American Shore & Beach Preservation Association (ASBPA), in cooperation with the Coastal Zone Foundation, announced the Call for Abstracts for its 2018 National Coastal Conference, Oct. 30-Nov 2 at the Galveston Island Convention Center on Galveston Island, Texas. ASBPA is the nation’s first organization to promote science-based policies for the preservation of coastal areas. The theme of the 2018 conference, “Resilient Shorelines for Rising Tides,” continues to broaden our focus across the entire physical coastal and estuarine system. The National Coastal Conference provides an opportunity for coastal stakeholders and managers to develop collaborative networks to promote best management practices, while learning the latest science, engineering and policy needed to maintain and improve the health of our beach-front and estuarine shorelines and ecosystems. In addition to our usual content of coastal science and engineering, policy and management, restoration and resilience, this year ASBPA’s conference has a dedicated call for presentations on the day to day operations of public beaches and coastlines. We invite parks and recreation professionals who manage beaches and coastal areas and are responsible for their general upkeep, profitability, and community engagement to present on their successes and challenges. We hope that the scientific, engineering and restoration community can learn about the challenges of a managing a coastline after restoration or between nourishments, and coastal managers can learn more about the physical and biological processes that impact their coastline. Presentations may be PowerPoint or poster format. Submit abstracts via the online form at http://asbpa.org/2018/02/02/2018-national-coastal-conference-abstract-submittal. Presenters are responsible for all of their expenses including travel, lodging, and registration fees. Notification of presentation status will occur by June 25, 2018.